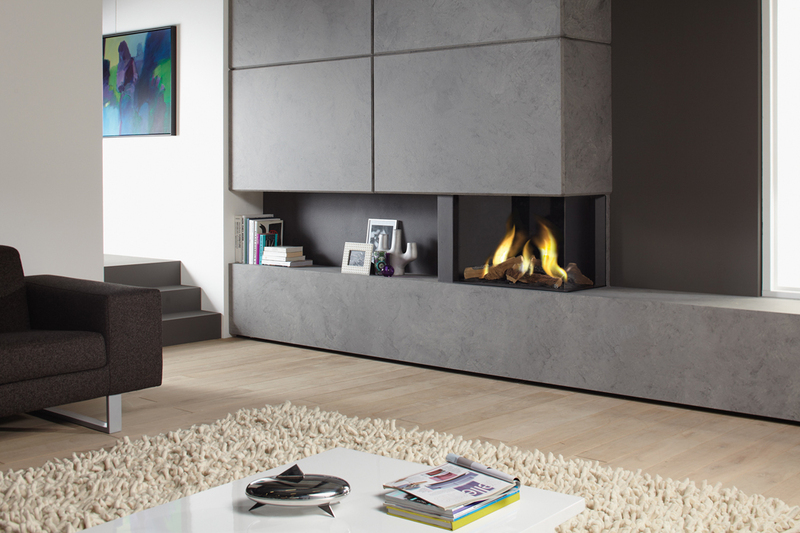 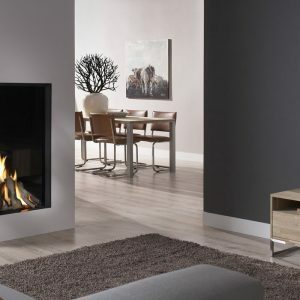 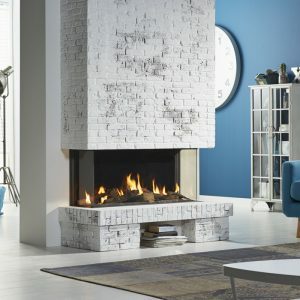 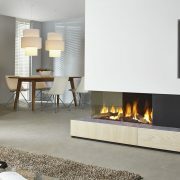 The DRU Lugo 80/2 gas fire is an 80 cms wide two-sided corner model, so the impressive log fire display can be viewed from different angles. 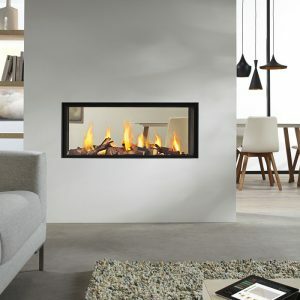 No ventilation openings are visible within the frames and the window connects directly to the plinth for a smooth appearance. 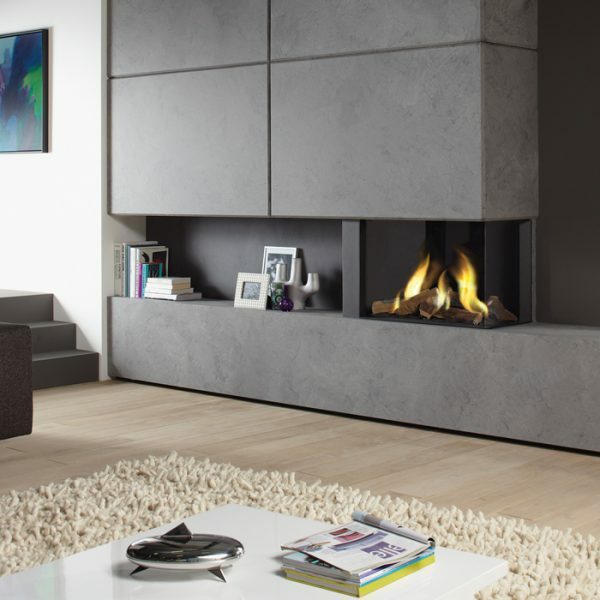 Interior finishes include matt black, ribbed cast or mirrored Ceraglass. 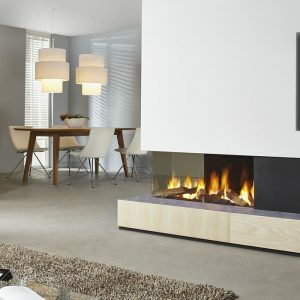 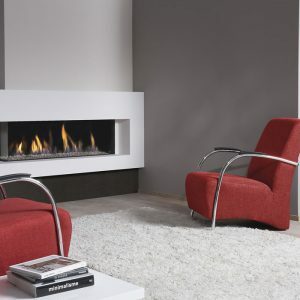 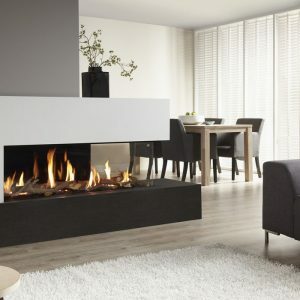 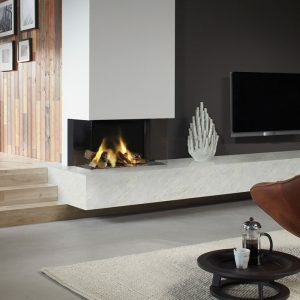 The operation of the fire is by remote control, or by Dru’s fantastic Ecowave app, allowing you to control the flame signature via smart phone or tablet.